TW kam am 29.03.2007 raus – Genau 40 Jahre vor dem Einsetzen der fiktiven Geschichte. Zufall? Weg mit dem EA Logo – No Logo Mod! Immerhin: In RA3 konnte man das EA Logo erstmals mit ESC abbrechen und war nicht mehr gezwungen, es JEDESMAL anzusehen! Waaah! Das Poster aus "Die ersten 10 Jahre" zeigte zwei Motive aus TW: Die Ionenkanone und den Predator Panzer in einer älteren Version. Dieser Entwurf ging später an Tiberium, wo er als Nachfolger des Modells aus TW fungiert hätte. An manchen Häuserwänden hängen Hologramme von Charakteren aus Renegade. Die FMVs waren sehr redelastig und teilweise unfreiwillig komisch. Die Sets konnte man an der Hand abzählen, so war Ajays Zelt in Amerika absolut identisch mit dem in Australien. CGI Sequenzen waren Mangelware, während Westwood kurze Renderfilmchen vor und nach den Missionen bot. Erst mit RA3 besserte sich auch dieser Zustand. They didn't know what they had. And they didn't understand or and or value the depth of thought that was behind the creations that were created. Right I mean I doubt to this day that anybody understands what really Tiberium is. Right and what was its role in the terraforming of the Earth. Right and and why it was significant in the terraforming of the earth and and what that meant to the type of alien that were going to land on the Earth eventually. And the kind of eco message that was going to be given right around you know Command & Conquer 3 about caring for the earth and taking it back. They took the solely points that they understood. They try to multiply those, but [...] because they didnt have the core your ideas were kind of derivative of of what had existed not reaching back into that fountain of core to draw new ideas. How would you have continued the C&C franchise if you would still be in possession of it? It would have definitely been different. The Irvine team really liked a few mechanics from other games so starting with Red Alert 2 and continuing through C&C 4 the games have been heavily influenced by a different design team. Unfortunately although we had a very talented team of passionate gamers, EA simply would not give us the time we felt we needed to make a truly great C&C game. In the case of C&C:3 our development cycle was something like 11 months. Compare that to Blizzard or Relic who was spending 3-6 years on their RTS titles. Our longest development cycle was 18 months on RA3, but at that time the team was split in half and added another platform (PS3), so the extra dev time was kind of a wash. EA simply needed us to keep cranking out games to keep the LA studio afloat while many its other teams floundered. So to answer your question I was not happy with how C&C3 or RA3 turned out, our games were always rushed, our engine technology aged and degraded over the years, our path finding was horrible, our online implimentations were embarassing, and ultimately our games did not, in my view, live up to the orginal C&C, or RA2, or Generals (which I also worked on but in a very lowly capacity). Unfortunatly our schedules usually meant we couldn't do any real iteration on the design. We were essentially shipping out "first pass" work as final across all areas of the project, balance and design included. Additionally the schedules precluded us from having meaningful multiplayer betas. This was always a huge source of frustration and disappointment for me. I can not blame everything on time pressure though, Dustin Browder was under similar time pressure with Generals and that game had great multiplayer. With every game I've worked on ultimately all I can see are it's flaws. Its hard to not look at something every day and just see the problems. Pathfinding and UI responsiveness were the two things that always drove me nuts with the sage engine. Von allen Aspekten musste die erste lauffähige Version genommen werden und die Auswirkung der Multiplayer Beta war daher bedeutunglos. Zusätzlich regte sich Grag Black noch am meisten über Wegfindung und Reaktionszeit der Engine auf. In CNC3, we were trying to get back to the feeling of Tiberian Dawn, with an emphasis on treaded and wheeled vehicles over more science-fiction oriented designs such as walkers. With CNC4, we had a desire to explore more of the science-fiction side of the universe, allowing us to embrace Tiberian Sun-era units such as the Mammoth Mk. II (returning as the GDI Mastodon) and to examine where other forms of battlefield technology (such as hovercraft) would be in 2077. I have mixed feelings about the game. I played GDI up to the final mission, Nod up to the 2nd to last mission, and the Scrin campaign not at all. I played a few online games and many skirmish games with every faction to get a sense of their differences. The mission design wasn't as good as it could have been. Missions were generally slogs through the maps with not a lot of creative ways to sneak around and accomplish objectives creatively with varying unit types. The missions were too similar to each other in objectives, and IMO the campaigns were about 3-4 missions too long on each side for GDI and Nod because the missions were too similar. The campaign had worn out its welcome before I finished it, which is why I gave up at the last GDI mission and 2nd to last Nod one. I loved seeing the videos again in the series and it was great to see Kane back. After a while into the campaigns however, I ended up skipping the movies completely because they were very talk-heavy and took a really long time to get to the point (i.e. why I'm going to do what I do next). I'd read the summaries while loading and know just what I needed to do. Some of the vids (i.e. the interview program when the aliens land in the GDI campaign) were just very odd to me... it didn't seem like anyone was a freaked out as they should have been about alien invaders. Although I don't agree with each and every choice they made in the fiction, I completely understand why they made those decisions and can see what they're trying to accomplish. It's called C&C3, but it's really a reboot on the franchise, which is fine. The game, while playing more like the Red Alert series in terms of pace, really had the feel of a Command & Conquer title with its presentation, UI, and look, which I loved. The effects and terrain were great looking and really captured the feel of the universe and the tech they had in it. Balance wise, I think there's some issues for income and tech that that favor rushing more than anything else and I'm curious to see how they're addressed in the next "big" patch. I'm looking forward to what they add in the expansion and where they take the universe. The game has a lot of play value, great presentation, and while I don't agree with everything they did, they made a solid game. If I was a reviewer, I'd give it an 8/10 for overall value for your money and production quality that they delivered in the product. That's my overall take on the game. I played through most of it. The repeater missions for each side were lame... I mean they stuck to the same general flow for each campaign. You had a defend mission and a commando one... wash rinse repeat. The polish on the game was very nice. Clean and awesome effects work from my bud Mikey Jones. Decent game but nothing special unfortunately. Effects kept me coming back for a while. EA verzichtet konsequent auf besondere Installationen, wie sie unter Westwood Standard waren. Mike Verdu begründete dies mit "Es seien Relikte aus der DOS Zeit" – Als ob z.B. Renegade ein DOS Spiel wäre! From the themed installation sequence – to this day I don't understand why other game developers don't do this – to the full motion videos and graphics, I was hooked! Die Musik –Ein Markenzeichen der C&C Serie– ist quasi genau so mies wie die aus Generals. Erst mit dem Add-on KW sollte sich leichte Besserung einstellen, als man Klassiker von Klepacki remixte. Frank Klepacki selber sollte erst mit RA3 wieder an einem C&C Spiel beteiligt sein. Als einziges C&C hat TW ein gleichnamiges Buch zum Spiel bekommen. Die ISBN des Romans ist 3-8332-1644-1 und wurde geschrieben von Keith R. A. DeCandido, der leider nicht allzu viel Wert auf Kontinuität gelegt hat. So soll Möbius an Bord der Philadelphia umgekommen sein, während er laut Spiel in einem Ionensturm starb. Weiterhin heißt es, dass die Scrin durch nichts (!) verwundbar seien, außer durch Tiberium-basierte Waffen. Außerdem ist McNeil am Leben, während Westwood ihn eigentlich per Absturz der Kodiak in FS hat umkommen lassen. So wie das eigentliche Tiberium ignoriert wurde, verhält es sich auch mit der Technik. Untergrund Einheiten? Feuersturm Technik? Disruptor Panzer? Hovercrafts? Die ganzen Mechs? Plasmawaffen? Tore? Nichts von dem ist mehr übrig geblieben, statt dessen ein Techniklevel was dem von TD oder noch älter entspricht. Fail! Heh. You have to read that as "tech they presented in the game". I was taking the game for what it showed me and how those things looked -- not what they omitted from the previous fiction / games. Walls were a very large part of C&C in the old days. They're kinda hard to justify in modern games, simply because there's other ways to get the same benefits. Still, they're fun when you have stealth tanks lurkin' about. They're not in TW because of findpath issues, which is why you don't see them in a lot of RTS games. The SAGE engine can't handle walls well. You can see this in LotR2. Walls dramatically complicate findpath. Although a C&C Tiberian game without walls doesn't feel right to me, because until TW, they were always part of the game. The only reason I called out tiberian vs. RA is that so far the consistency with RA games and walls is still maintained. If an RA3 were to come out and not have walls, then I'd say the same thing about it not feeling right. We certainly would have run into the problem with the WW C&C3 versions as well, although we had still planned on having them as a player-built item. Sometimes it's worth the pain to maintain the universe. ...Of course, it completely depends on how much pain it ends up generating. Although I'd think that the TW team experimented with walls in TW, their experiences with the SAGE engine on the other products (LotR) may have eliminated that option very early in pre-pro. Aber: Die Mauerversuche von EA sind trotzdem in TW drin geblieben, nur deaktiviert. Damit haben Mod-Teams eine Chance, Mauern wieder zu verwenden. Our version of the Nod CC didn't walk. That was added. Im Gegensatz zum blauen Tiberium aus TS ist die TW-Variante nicht mehr explosiv. Eine Erklärung dafür gibt es nicht. Victory has been claimed...Blue Tiberium is officially in Command and Conquer 3. I am not privy yet to disclose the exact details on how exactly it will affect your gameplay experience (because that hasn't been fully fleshed out), but, I can tell you a couple of things. And yes, we took your feedback very seriously. We're getting ready for Leipzig to showcase the first major multiplayer battle between GDI and Nod, its going to be explosive, and yes, there will be a fully featured video of it shortly after the show for those who don't make it to Germany. With regards to Blue Tiberium, I'd like to say this was a collective decision between our designers and producers and the community feedback was a major critical factor in that decision. Like I keep saying, you guys do have a voice. Keep it constructive and you never know, we're always listening, especially myself. Its been a hectic crazy week getting ready for next week. Our official site will be re-launching this weekend, the next newsletter is hitting next week Wednesday/Thursday and YOU ABSOLUTELY must sign-up for it, like every newsletter, if you want to be on the inside first, then sign up, and tell your friends to sign up to. I'm putting the final touches on the newsletter right now, so you heard it from the creator himself, you don't want to miss this. Überhaupt hat EA die Vorgänger nur oberflächlich berücksichtigt: So soll der Tacitus erst 2028, also zwei Jahre vor TS, gefunden worden sein. Das Tiberium selber soll sich in nur 16 Jahren zwischen FS und TW radikal von einer biologischen, quasi pflanzlichen, Art mit Pods und Blütenbäumen zu einer radioaktiven und kristallinen Struktur gewandelt haben. Dazu hat sich EA mit dem MIT eine höchst wissenschaftliche Erklärung überlegt, welche genaustens erklärt, wie alles zu Tiberium wird, wenn es selber mit Tiberium in Kontakt kommt. Alles schön und gut, nur eins wird dabei vergessen: Es hat nichts mehr mit dem ursprünglichen Tiberium von Westwood zu tun. Epic Fail! Während der Entwicklung wurde "Kane's Dossier" veröffentlicht: Ein von Lia Suskind für GDI/InOps nach 8 Monaten Arbeit am 27.06.2030 angefertigter Bericht über Kane. Auf Seite 5 wird erwähnt, dass Kane an die 125 Jahre alt sein könnte und trotz der geschwärzten Textpassagen, lässt dies eine Anspielung auf Kanes Aufauchen in RA1 zu – Obwohl EA diese Universen strikt trennt. Als Engine kommt wieder SAGE zum Einsatz, diesmal aber um XML erweitert. Der Untertitel ist unkreativ und einfallslos: "Tiberium Wars". Ein Titel, der auf jedes Tiberium-Spiel passt, schließlich waren das ja auch Tiberium Kriege. Anstatt auf die Community zu hören (greets @ daeas!) und z.B. "Tiberian Eclipse" zu verwenden, blieb man beim ursprünglichen Arbeitstitel. Dies könnte auch auf weitere Tiberium-Titel deuten, da "Twilight" als Trilogie-Ende nicht mehr verwendet wird. I've explained this before in a previous thread, but I shall do it again, hence the name of "Tiberium Wars"
Tiberium: Mysterious substance discovered in 1995 near the Tiber River in Italy. So, hopefully that will make logical sense. GDI and Nod are not fighting over "Tiberian", they are fighting over "Tiberium", hence the name "Tiberium Wars". The title of the game grows on you once you think about it and understand the logical sense, and I think we save face by holding to our choice here. We don't want to keep back pedaling. You don't need to always be cliche in a title and have continuity in the sub-title. The continuity is in the franchise name "Command & Conquer". Tiberium Wars is a continuation of a story in the C& C universe in the "Tiberian Storyline". I know it gets confusing, but think about the literal meaning of the title and it makes sense. Remember, continuity comes in the actual story and the franchise name Command & Conquer. And there is plenty of continuity because this is the 3rd Tiberium War. I'll admit myself that Tiberian Twilight is a very cool name, but it doesn't conotate the story of C&C 3 well, of which you guys will learn a lot about in the coming months and when you actually play the game of course. We're building a next generation C&C game that is true to the spiriti of this classic franchise, universe, and story. Checkt auch meinen Artikel bei den Community News für die ersten Infos über TW! TW wurde bekannt am 18.04.2006 und zwei Tage später offiziell vorgestellt. Es ist das Ergebnis einer langen Entwicklungs-Odysee: Mehr dazu unter Tiberian Twilight. Frühes Interfacekonzept The interface is based on the game look and feel. The idea was that of a modern PDA interface. Xbox 360 Version vom Theatrical Trailer. Feature Preview! DEUTSCHE Zusammenfassung und Überblick. Scrin Prolog! Einleitung zu den Scrin Missionen, extremer Spoiler! Scrin Preview! Scrin Skirmish mit Rift Generator und Mutterschiff! Neue Version des Scrin Trailer. GDI Mission 1 Die erste Mission der GDI mit Ionenwerfer ingame! Nod Mission 1 Die erste Mission von Nod mit Zerstörung der Philadelphia! Theatrical Trailer! Tempel von Nod, Atombombe und Ionenwerfer! Neue FMVs! Scrin Trailer! (MIRROR!) FMVs der Scrin und Mutterschiff! Clubic Preview jeuxvideo.com Reportage mit Nod Multiplayer! GameStop Video, der zweite Trailer von C&C3! Entspricht dem "Exclusive C&C3 Game Trailer" der Pre-Order DVD. Weiteres GameStop Video mit Nachricht von Kirce (GDI). GameVideos.com - Battle Gameplay 10 Minuten Scrin Video! IGN 8 - Rocket barrage. IGN 6 - Shield aliens. IGN 5 - Aliens and Warmechs fighting. IGN 4 - Tripod charge. IGN 3 - Nod offensive in a Blue Zone. IGN 2 - Alien attack in the Yellow Zone. IGN 1 - Aliens take on a Red Zone. Gamespot Interview mit Amir Ajami und vielen Gameplay Szenen - in HD! Gamespot Gameplay 1 bis 3 in HD! Neue Version des Xbox 360 Trailer! Neue Version des GDI vs. Nod Trailers in HD! C&C3 Multiplayer Video des PC PowerPlay Magazins (Januar 2007). Neue Version des November Trailer in HD! GDI vs. Nod Trailer mit neuen Einheiten. Pre-Order: Preview Of "Behind The Lines". Pre-Order: Exclusive C&C3 Game Trailer. Pre-Order: Sneak Peek Of Live-Action Scenes. GT TV Indepth Interview mit Amir Ajami. GT Exclusive Footage Gameplay HD Alle Szenen aus dem November Trailer ungeschnitten! Interview mit Mike Verdu und vielen Gameplay Szenen. Gamplay von der GC2006 #3. You can't kill the messiah! Ankündigung von Joe Kucan als Kane! Hier ist die Vorankündigung für die Nod-Präsentation auf der GC 2006 inkl. Nod Logo! Hier gibt's den ersten Trailer zu C&C3! Hier gibt's den EA E³ 360° Trailer mit einer C&C3 Sequenz! 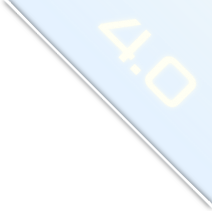 Mod SDK 5.0 -Offizielles Mod SDK. Art Pack 2 -MAX Dateien von fast allen C&C3 Einheiten. Battlecast Viewer -Damit könnt ihr Spiele verfolgen, ohne das Spiel selber zu besitzen.